As we reach 2015, link building has evolved to a whole new level. Google is excellent at cracking down thin content sites and the old methods of spamming Google with bad low quality links are over. This is probably the most important factor. I have a website that only used Reddit as a primary source for traffic and links. I was able to grow it from 0 to 25,000 visitors a day just by posting quality content on Reddit. Here are the traffic stats. It ranks for pretty much anything related to that niche. This site is done with no spammy link building methods. You just need good content to rank well now. I have noticed a big increase in traffic and rankings when any of your posts went viral. If your content gets shared on social media or any website with a significant amount of audience, you will get a rankings boost. When you get a huge number of returning visitors, you gain authority in Google’s eyes. 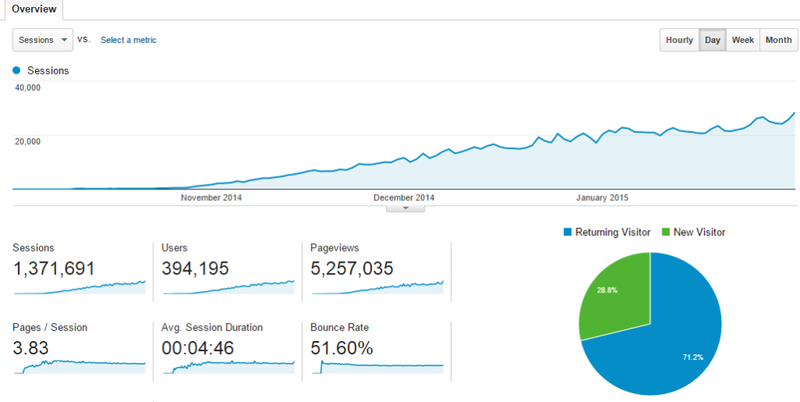 As you see from the traffic stats above, the returning visitors for that site is about 71.2%. This tells big G that this site is trusted and well received by people. I am talking about relevant links from real blogs or websites. Social shares from big websites like Facebook, Reddit, StumbleUpon or Digg counts as good links. Any automated spammy links that are easily duplicated using software programs are not what you want. If you have a Twitter, Facebook, Pinterest or any other big social media profiles, it tells Google you are trying to build a brand. Having presence will give you a good trust factor. I highly suggest you focus on 5 social networks you frequent and use them to establish your blog authority. You started a new blog with 0 visitors and 0 authority. Great! Now what? The first thing I suggest you do is to create good quality content first, then you start the link building methods I am about to share. You can also boost the power of this link by sending some bookmark links to this particular about page. It is a great link to have when you are just starting out. Before you dismiss this method, you should always diversify your link building methods. You do not want to send it to all directories, but just a few quality ones. Directory links are only bad if you submit them to the spammy ones. Below are the ones that I recommend. It only takes a few minutes to do. The key is to just have a few. Don’t go overboard with this. It is really simple. You just want to get your blog out there. That’s it. I am (Your Name) from (Your Blog). First of all, I wanted to thank you for the awesome content you have provided for your viewers. I read your post regarding the best tips to increase your affiliate income and it has helped me increase mine by 22%! And for that, I appreciate what you have done for me and the community. I have added you to my top 10 best marketing blog and bring you new visitors. Feel free to use my blog post as an example to build your already powerful authority. Keep up the good work! Notice how I mentioned nothing about asking for a link. All you are doing is letting them know that they are featured. I have used this method to great effectiveness and generated 1500+ visits in just 1 day. The best part is, that post instantly starts ranking on close to page 1 of Google after that social share. It can be time consuming though, but the effort is well worth it, especially if a very big name blog decides to share your post. This is a very effective method if you use it wisely. This is very similar to a regular guest post, but it saves you a lot of time from finding bloggers that need a guest post. You don’t want to buy just any type of guest post. 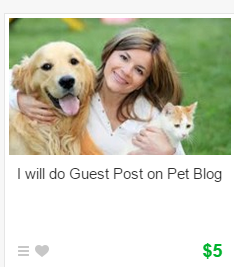 You WANT ONLY a specific type.Head over to fiverr and type “guest post” in their search bar. Start searching for gigs that are relevant to your niche. 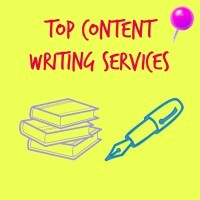 You don’t want to buy just any type of guest post. You WANT ONLY a specific type. 1) High Domain(DA) and Page Authority(PA) – I recommend 30+ for both metrics. Contact the seller on fiverr to see where they will be posting on. 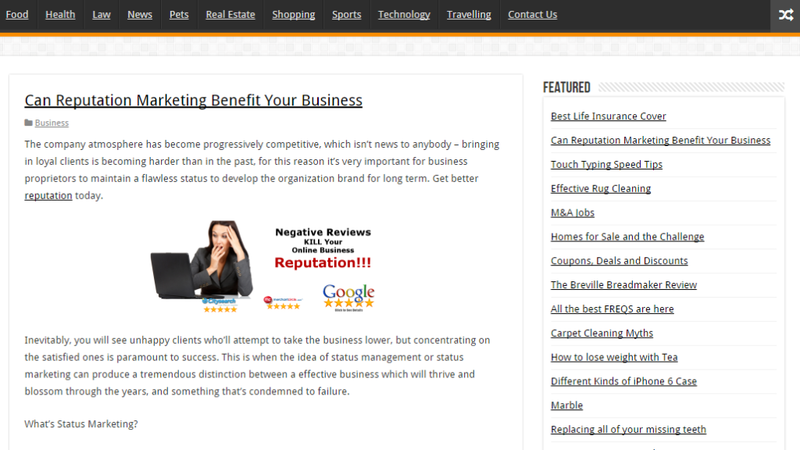 Look at their blog design and content for trustworthiness. Check their PA/DA with this tool. 2) Good looking site with real social media and visitors. This is very easy to spot. Here is an example of a good real blog. It has subscribers and real fans. You will want your link on there. Also, they WANT YOU to provide the article or you REQUEST they write it for you. This is key because those gigs that offer you a free article and a link back to your website are poor quality blogs that is pretty much a private blog network. It just have a bunch of articles with no real social media presence. Be picky with who you choose. Only buy the gigs that offer you the cream of the crop blogs. You only need a few handful of these to start gaining authority for your blog. Plus, the total cost is only $5.50 USD for a good link provided that you write the article for them yourself(usually 500 words). If they have all 4 of the above, you should buy that gig. They are not common, so be patient with them. Oh man, Reddit is one of the best places to gain traffic and authority over time. It works really well for certain niches, especially if they have a sub Reddit. What you want to do is to find the relevant sub Reddit for your niche. 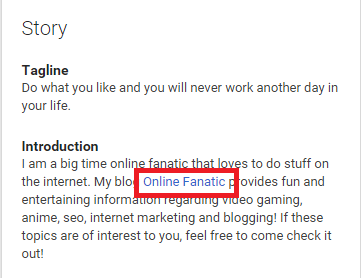 Go to Google and type: “Your Niche” Reddit. Usually it will bring back a few of them. Look at the discussions there and see what people are having trouble with. Start posting there once you create good quality content that answers those questions. Remember not to spam. Reddit is notorious for keeping spammers at bay. Ideally, you will want a sub Reddit with at least 2000 subscribers for more traffic and visitors. I also wrote a guide on how I generated 21,000+ visits from Reddit here. 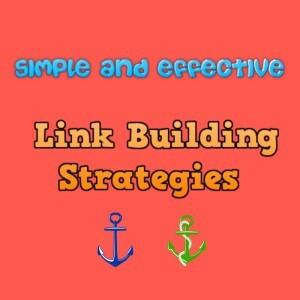 These are my personal linking strategies I use to great effect. There are also a few others that are worthy of mentioning. I have not used them but these SEO experts I am about to mention have had great results with them. This is basically a website that sends you 3 daily emails of reporters that need a report or article written for big publication sites. They cover niches anywhere from business, finance, food, relationships and more. This is a great way to get very powerful and authoritative links from the big sites. You can sign up for HARO here. They key here is to email consistently with a great pitch and eventually you will lend some interested reporters. Here are some good tips from these experts. Very similar to number 3 on the list “Top X Posts Link Bait” method but even more detailed. This is covered by Brian Dean of Backlinko. Here is the article – Link Building Case Study: How I Increased My Search Traffic by 110% in 14 Days. To sum it up, he produces good quality content that is better than the current one he is targeting and reach out to potential bloggers for a possible share. Check it out. It worked out very well for him. He got 17 high authoritative links(1 from DMOZ). Infographics can be expensive but it can be well worth it for you when you get massive social shares on one of them. The key here is to create it either by yourself or external help. Now all that is left is to apply these techniques! Good luck with your blog and wish you success!